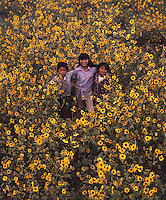 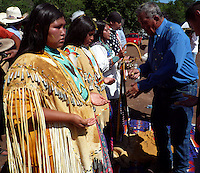 The Apache Sunrise Ceremony is ageless and extremely colorful the symbolic ceremony to mark the Coming of Age of young Apache Women. 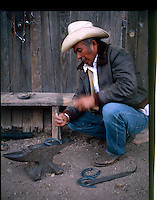 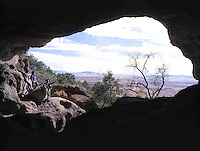 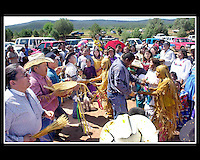 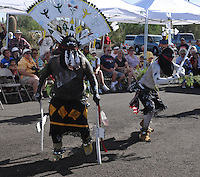 My pictures depict both White Mountain and San Carlos APACHE Ceremonies. 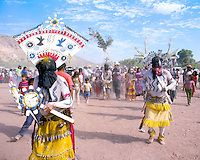 Their main difference is that San Carlos Crown Dancers will paint the maiden during the daytime. 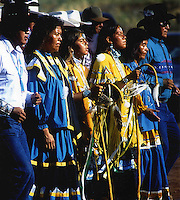 The White Mountain Apache crown dancers won't, they insist on painting during night ceremonies. 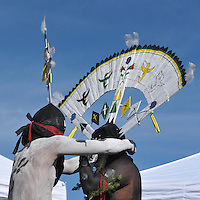 Hiring Crown Dancers for the four day ceremony can be quite expensive so at times the father of the child does the painting.